In holding to a Biblical worldview, the purpose of education is to train the student in an understanding of God’s nature. By doing so, the student can then fulfill the purpose of God for his or her life. A true Christian education must be based upon the infallible authority of the Bible as God’s Holy Word. The student must be trained in his or her spirit, mind, and body so that he or she can be well prepared for His purpose both on earth and in eternity. The student must be taught that all truth is God’s truth. Knowledge and understanding in all subjects of education originate from God’s truth. These subjects must be taught by teachers who have a God-centered view of life and truth and who will lead students well. That there is one God, eternally existent in three persons: God the Father, God the Son, and God the Holy Ghost. In the deity of our Lord Jesus Christ, in His virgin birth, in His bodily resurrection, in His ascension to the right hand of the Father, and in the blessed hope of His personal visible future return to this earth to receive to Himself His blood-bought Church that it may be with Him forever. In the precious blood of Christ and that regeneration is absolutely essential for personal salvation. That the redemptive work of Christ on the cross provides healing of the body in answer to the believing prayer. That the Baptism of the Holy Spirit, according to Acts 2:4, is given to believers who ask for it. In the sanctifying power of the Holy Spirit by who’s indwelling the Christian is enabled to live a holy life. Valley Fellowship Christian Academy (VFCA) is a Christian school whose purpose is to partner with Christian parents in educating and training their child to become dynamic, Christian leaders to take their place in the world and in the body of Christ. We are working to prepare and develop the whole person: mind, body and spirit through academic, spiritual and physical training that is interwoven with Biblical teaching, ministry, worship and outreach. In order for children to obtain a comprehensive education, the curriculum must be presented with Biblical and academic truth. Students are taught how to apply knowledge and skills for the glory of God. We believe that students will grow in confidence which will enable them to achieve all that God has planned for their lives. Valley Fellowship Christian Academy’s primary spiritual objective is the spiritual growth and maturity of all its students. Making the Word of God the standard in all facets of our mission is paramount to fulfilling the call of God at VFCA. One key factor in achieving this objective is in the selection of our teachers. Luke 6:40 frames this foundational belief. Our students will only attain to a healthy level of spiritual growth as those who are called to teach them. Therefore, the process of hiring teachers, the living curriculum, is one of the most crucial areas when endeavoring to build a strong Biblical worldview in our students. A second key in achieving our objective deals with the selection and implementation of our formal curriculum. VFCA is committed to, whenever possible, using formal Christian curriculum that is based on the Word of God. The main curriculums used are ABeka and Bob Jones for grades K3-12th grade. Secular curriculum that is used must be aligned and infused with Biblical standards. Our teachers endeavor to teach from a Biblical worldview and integrate God’s truth into every subject area. It is the aim of our program to train and teach students to apply God’s living Word in their everyday lives. The VFCA atmosphere is one that is saturated in the love of Christ. We believe that children are a gift of God to be loved, protected, instructed and valued. The call of God on VFCA is to provide an excellent academic, spiritual and physical education. 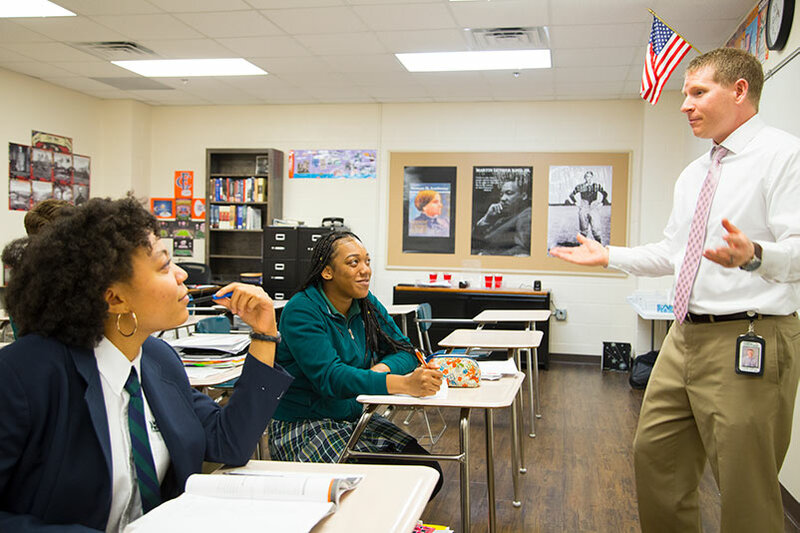 VFCA belies in educating the whole person –mind, body and spirit. The development of a personal relationship with Christ, pursuit of the Holy Sprit and outreach to the world both locally and globally encompass our spiritual goals. We aim to reveal God to our students so that they will be able to make God known.